Konami's history of quality has left them as one of the most wanted developers in the industry. The "MGS" series has become a force in its own right and games like "Zoe" and "Ring of Red" show that Konami is more than a one-franchise-wonder. Take to the air with photo-realistic aircraft in "Airforce: Delta Storm", an sequel to Konami's Airforce Delta for the Dreamcast. Blending both realistic physics and action-oriented gameplay, "A:DC" promises to appeal to all forms of gamers as well a.. While past Castlevania games have focused on the struggle between Dracula and the Belmont clan, Curse of Darkness introduces players to an entirely new storyline and main character â€“ Hector, a Devil Forgemaster, and former Lieutenant of Dracula. To..
Crime Life: Gang Wars is a free roaming crime based beat em up. Mixing action and strategy elements within a gritty, detailed storyline to explore modern-day urban gang culture, the player is cast as a small-time homie who must work their way through.. The online revolution continues on the Xbox with Dance Dance Revolution Ultramixâ„¢ 2. Get yourself connected with all-new gameplay modes, exclusive songs and enhanced Xbox Liveâ„¢ support. Players can now compete head-to-head with other dancers nati.. The bestselling video game in the music category returns on the Xbox with all-new songs and dance hits, exclusive game modes and Xbox Live connectivity. Dance Dance Revolution ULTRAMIX 3 pushes the boundaries of Xbox Live to deliver the ultimate e.. The hit franchise Dance Dance Revolution arrives on the Xbox in an all-new game with licensed music, all-new songs, exclusive songs for North America and cool game modes. Designed especially for the Xbox, Ultramix goes online with Xbox Live support, ..
As for the Winter Olympics rapidly approach, ESPN the Games invites gamers to experience all the thrills, chills and spills of cold-air competition with the only multi-event winter sports game available on any platform - ESPN International Winter Spo..
ESPN NFL Prime Time 2002 brings full-contact football play to the Xbox. Call the play, set your back in motion and experience that split-second of pure kinetic power before helmets and bodies collide. Expect the total ESPN experience from ESPN NFL on..
With real professional snowboarders, boards, and other assorted gear, ESPN's Winter X Games Snowboarding 2002 is one exciting trick-based snowboarding game. 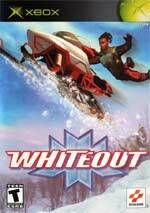 Starring gold medallists Peter Line as well as over 12 other top-notch snowboarders, this Xbo.. Inspired by the simple, addictive gameplay of the original arcade game, Frogger Beyond launches our green hero into a whole new world of challenges, obstacles and platform-action fun. The adventure begins as the young hero faces the Elder Council on ..
Frogger: Ancient Shadow is a beautiful 3D action platformer that merges the traditional Frogger "hop-ndodge" gameplay with platforming elements for an exciting new challenge. 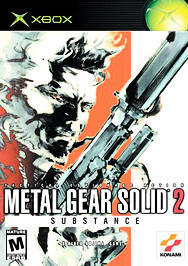 Gamers join Frogger at his home in Firefly Swamp, where a dark secret has r..
Metal Gear Solid 2: Substance is the ultimate MGS2 that fans have longed for. 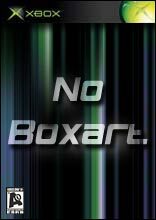 Includes the original game, plus the Boss Survival and Casting Theater modes previously available only in the Japanese and European versions. Features over 200 VR stages wi..
Konami has its sights set on the Xbox and is pulling the trigger. For the first time ever, intense sniping action comes to the Xbox with Silent Scope 1, 2 and 3 all combined in one game! Based on the smash arcade hit, the Silent Scope series has been..
Teenage Mutant Ninja Turtles stars the famed heroes Leonardo, Michelangelo, Donatello and Raphael and their legendary foe the Shredder. In these 3D fighting/action videogames, you take on the role of your favorite Teenage Mutant Ninja Turtle as you p.. The action is packed into another exciting series of adventures with Teenage Mutant Ninja Turtles™ 2. Only the best can turn chaos into control with simultaneous play for up to four players in both cooperative and head-to-head modes. TMNT fans ..
TMNT3 puts more of a focus on teamwork, character development and control than any other console Turtles game to date. Gamers can play as their favorite Turtle alone or with up to three friends, earning experience points along the way as they slash a.. The perfect game for Teenage Mutant Ninja Turtle fans, TMNT Mutant Melee is the ultimate TMNT party experience. The game offers hours of bashing, crashing and trashing fun with more than 20 playable characters, a competitive Adventure mode and a huge..
Bring all of the excitement of the most famous cycling race in the world home on the Xbox! .. The heart-pounding action begins as players jump into the boots of 14 different riders and 12 powerful sleds -- each with a variety of upgrades available. 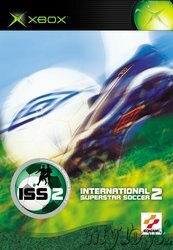 Bringing the action to life, players can choose from among 5 different play modes including Mul.. Marking the debut of the top selling franchise on the Xbox video game system from Microsoft, Yu-Gi-Oh! The Dawn of Destiny brings the world of the highly popular trading card game to Xbox owners. Featuring over 1,000 of the latest Yu-Gi-Oh! cards, Yu..
Just as Far Cry redefined the FPS genre on the PC, Far Cry Instincts will introduce wide open environments and unique, immersive gameplay elements that are destined to become the definition of surviva..